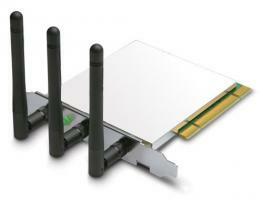 With the Penguin Wireless N PCI card for GNU / Linux, connecting to the Internet is easy. Unscrew, insert, select your access point, and surf. Genuinely Penguin friendly with all recent Linux kernels supported. Dimensions 4.7" x 3.8" x 0.1"